Suri, Katie & Isabella went shopping in Toronto on July 18th 2010. Suri is wearing Shoes & Headband by Bonpoint and Dress by Holmes&Yang. Thanks to Amy for these cute pictures! 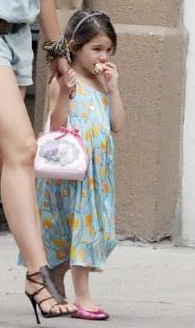 Suri & Co spent a day shopping around Toronto on Sunday, 22. Before picking up take-away food the trio stopped by Starbucks, Gap Kids and Anthropology. 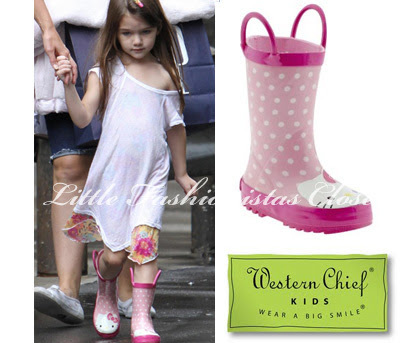 Suri is expanding her Raingear collection by wearing these Hello Kitty Polka Dot Boots by Western Chief. 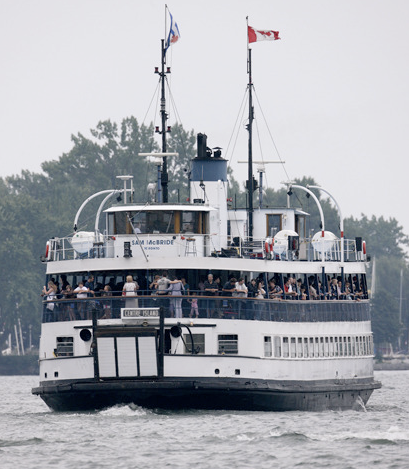 Suri & Katie go for a playdate at Toronto Island and Centreville Amusement Park on Saturday, 21. 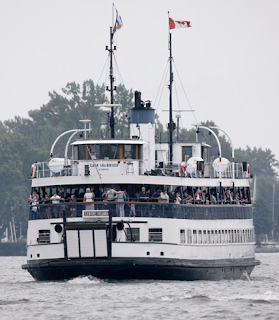 S&K took a ferry to get to the island. 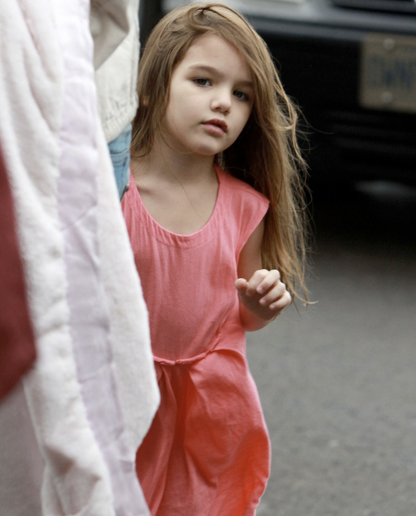 Suri is wearing Cozy Cotton Tunic Dress in Coral by Crewcuts, which she first wore on April 12th 2010.
this picture proves me right! these are the H&M purple ballet flats, which Suri first wore on August 8th 2010.
the visitor counter shows 0!!!! 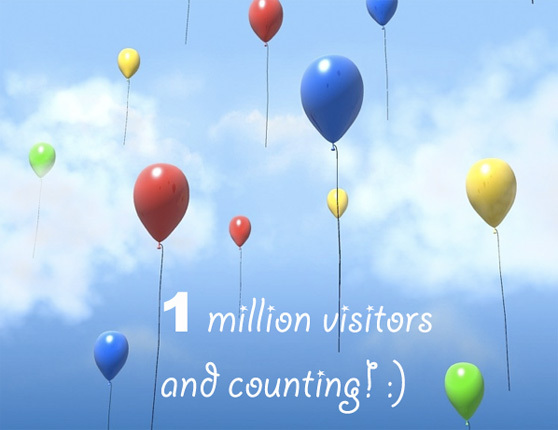 that means we had more than 999,999 visitors!!!!! Thank YOU, My Dear Readers!!! Katie Holmes venture into the fashion world has proved a big success - her Holmes & Yang collection will continue to be sold at U.S. department store Barneys for another eight months. The fashion pieces are selling so well, Barneys bosses have extended the contract taking them into next year (11) - netting the actress an estimated $5 million (£3.3 million) pay cheque. 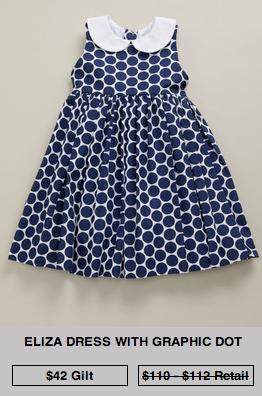 She's the little girl that could have everything, but Suri Cruise prefers to design her own clothes. In a rare interview, mom Katie Holmes gives a glimpse into domestic bliss at her household with Tom Cruise, describing how she lets her 4-year-old daughter pick out and craft her own outfits. "I grew up the youngest of five, so there were a lot of hand-me-downs that I would sort of change up," Holmes, 31, tells this week's issue of New York magazine. "And Suri and I do that now with her clothes. Or rather, she does it. She says, 'I want this sleeve cut,' and it's like, 'Okay, we'll cut it.' 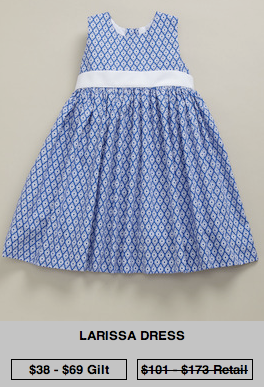 She picks out all of her own clothes and has since she was one-and-a-half." Suri is often described as one of the best-dressed celebrity kids, and the "Dawson's Creek" star reveals that mom and daughter deserve all the credit. 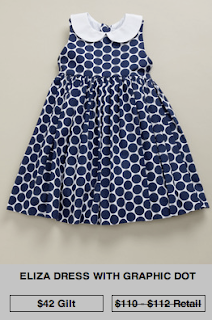 "I started making clothes for Suri when she was born, designing dresses, and then having seamstresses sew them, because I don't sew very well," Holmes says. "As a child, I was always drawing clothes, and I've always loved fabrics, and when Suri was born, I wanted to have certain things be from me and created just by me for her." Suri's style sense is rubbing off on mom, too. 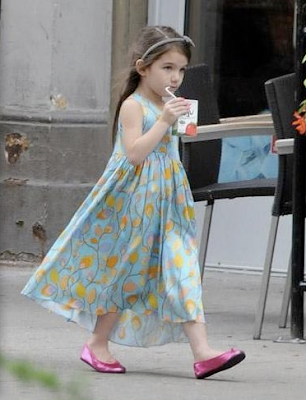 "Tom and I went to the Met ball a couple of years ago, and I had this beautiful red gown and these royal-blue shoes that I wasn't planning on wearing, but Suri made me put them on and so I was like, 'Okay, I trust you.'" 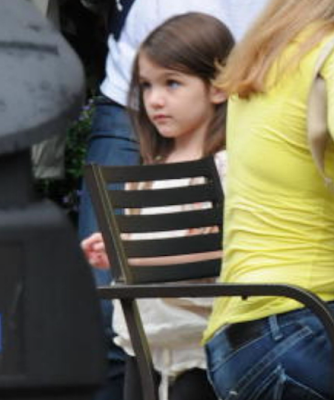 Suri & Katie went out to get a cake from Whole Foods in Toronto on Sunday, 8. Thanks to Katrina for better pictures! 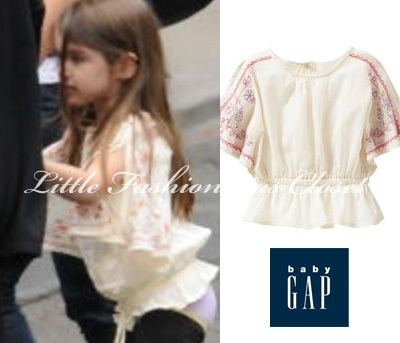 Suri is wearing Dolmain Sleeves Embroidered Top from Amalfi Fall Trans'10 TG Collection by GAP. Suri was wearing Purple Ballet Bow Flats from H&M. Thanks to Vania for the picture! Suri's Dance/Tap Shoes & Dancewear by BLOCH! 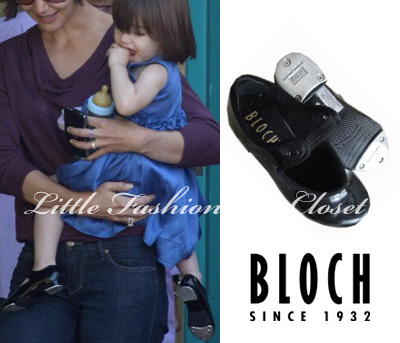 Suri was first spotted leaving a tap class on May 15th 2008, wearing a cute pair of Black Patent Annie Tap Shoes by Bloch. This was the first pair from Suri's ever growing collection of Bloch shoes. Suri has worn a White pair of Annie Tap Shoes for a dressier occasion - attending a performance at Disney Concert Hall on March 20th 2009. Black & White versions of Annie Tap Shoes are available @zappos for $31.50. 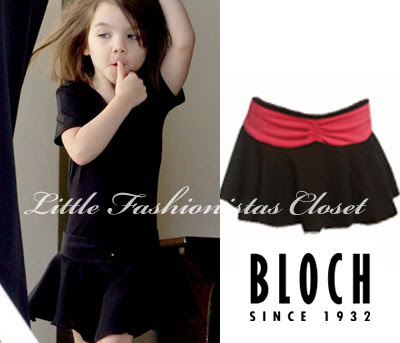 Suri is wearing Black Panel Skirt by Bloch, while leaving a dance class on April 30th 2009. 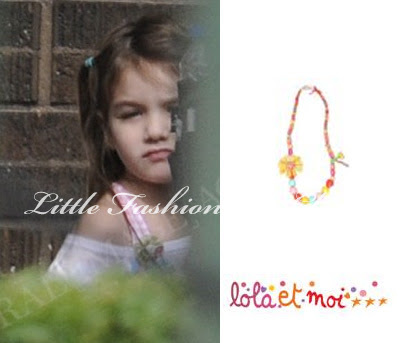 Suri is wearing a necklace from SS'09 collection by Lola et Moi. Both dresses are from SS'10 collection by Baby CZ and were purchased by Suri & Katie while shopping on April 8th 2010.
these Dresses are on 60% OFF SALE!! !